Time isn’t just something that exists in our operating systems, alarm clock apps, and cloud-calendars. Time wasn’t invented with the transistor, the coiled spring, the pendulum, or the water-clock. Time pre-dates humans, our planet, our sun, and has been passing since the inception of our universe. Time is physical, tangible, yet cosmological: it is not just a theory of mind (whatever questions solipsist or constructivist philosophy might ask). Street:Clock actively encourages people to consider the measure of (and experience of) time before pervasive digital technologies. The antecedent time of an ancient Europe: the seasonal wax and wane of shadows; a sloppy, interpreted time – quite different from the network-distributed, atomically accurate, Greenwich Mean Time that I can access with a glance today. Street:Clock invites a consideration of the astrological nature of time – time here is measured by changing local effects (shadows) enacted upon a ~1,100,000,000,000,000,000,000m3 planet orbiting ~150,000,000,000m, from a 1,400,000,000,000,000,000,000,000,000m3 sphere of fissioning gas. Street:Clock is a synthesis of simple ideas. 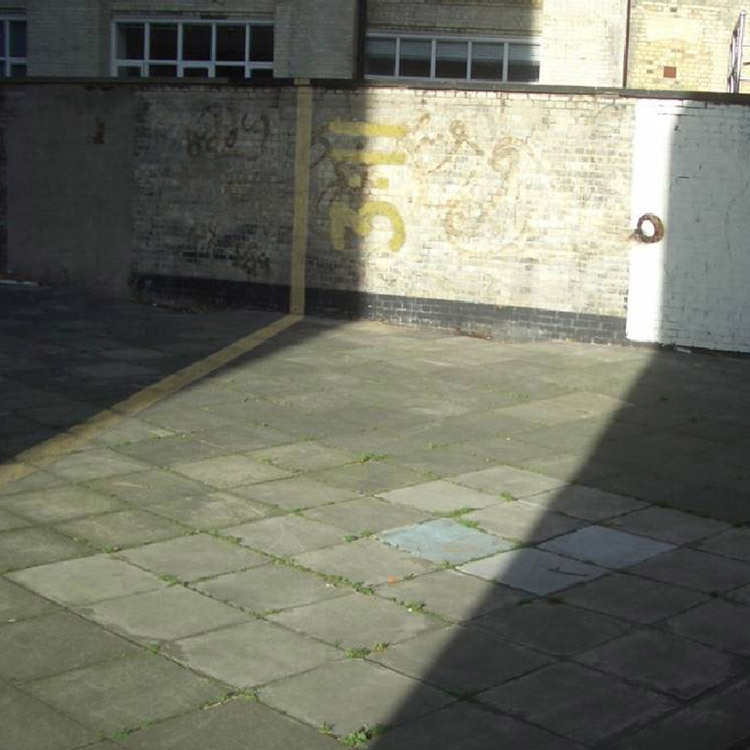 Shadows, cast over urban landscapes by street furniture, are interpreted in relation to rather arbitrarily positioned yellow-paint markings. Heavily referencing sundials, these markings denote specific times, but at irregular intervals, unlike the uniform presentation of the clock-face or sundial. Like other projects by Theo Humphries, Street:Clock explores the staking of claims in shared urban territories, and ways in which these physical and metaphysical spaces can be re-appropriated for, and by, their inhabitants. Again, like Theo’s other projects, Street:Clock adopts the visual aesthetic of its context: in this case using the thick ‘municipal yellow’ road paint of the double-yellow-line to give form and palette to the Street:Clock. Click here to learn more about using the sun to tell the time, and how to make your own sundial.